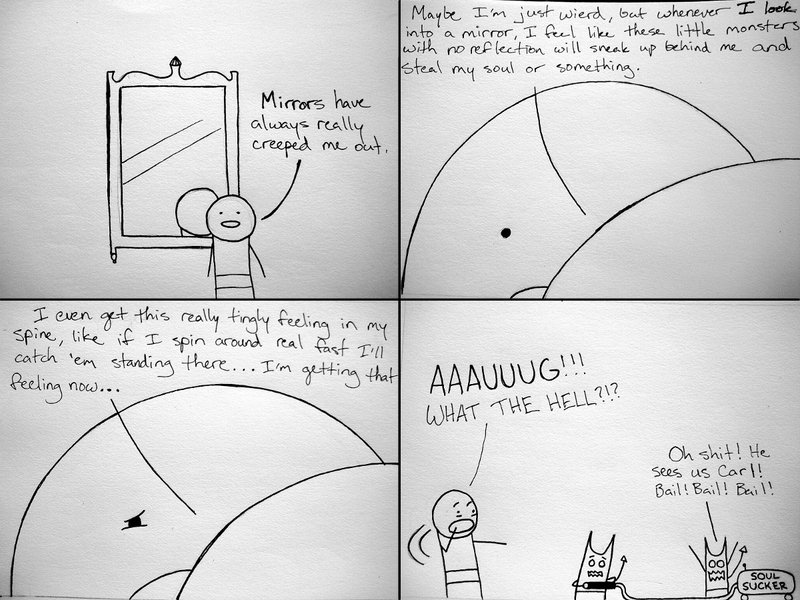 Seriously though, at night, when I'm alone, and it's totally quiet, mirrors are creepy as hell. Hope everyone had an amazing Christmas! And holy crap I'm already almost up to 200 views! it's been like 3 days since 100! that was fast! haha I like them too...and I was totally planning on bringing them back. They will probably make some great characters. I think you've just found a possible running gag you could include. Those little demon guys have so much potential! @ tim: dude I know, I'm actually pretty excited about them, there is so much I can do with them. Oh, and thanks for subscribing! Carl is a good name for a demon. i feel the same way. i always have a plan on how to escape from them though.